Support for Britain leaving the European Union is at its strongest since October 2014, enjoying a 4 percentage point lead over those wishing to stay, a new poll from YouGov has revealed. A survey of 1,735 people showed 42 percent of British citizens are in favor of leaving the EU, compared to 38 percent who would vote to stay. The 4 percentage point lead is the greatest in more than a year. The latest results show a slide for the “in” campaign, whose support has slipped from 41 percent since December, and a 3 percentage point rise in the number of people who remain undecided to 18 percent. However, the results contradict another poll, released Saturday, which showed the majority of Britons are in favor of staying in the bloc, despite a rise in support for the Brexit campaign. A nationwide referendum will be held by the end of 2017, but Prime Minister David Cameron is expected call one as early as June this year if he is able to secure a renegotiation deal with other EU leaders. He hopes to alter the terms of British membership of the bloc by changing the rules on immigration and migrant benefits. 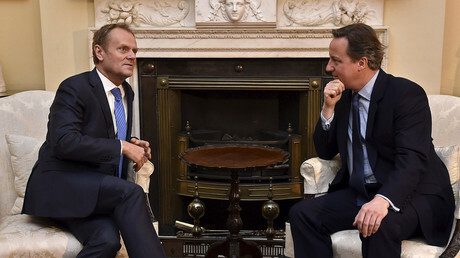 The results come as Cameron gears up for a final day of debate with European Council President and lead negotiator Donald Tusk in London, after the pair extended their weekend of negotiations following a major breakthrough Sunday evening. The European Council President allowed the 24-hour extension after Cameron claimed a major agreement on the issue of migrant benefits, but failed to agree on other areas of discussion. 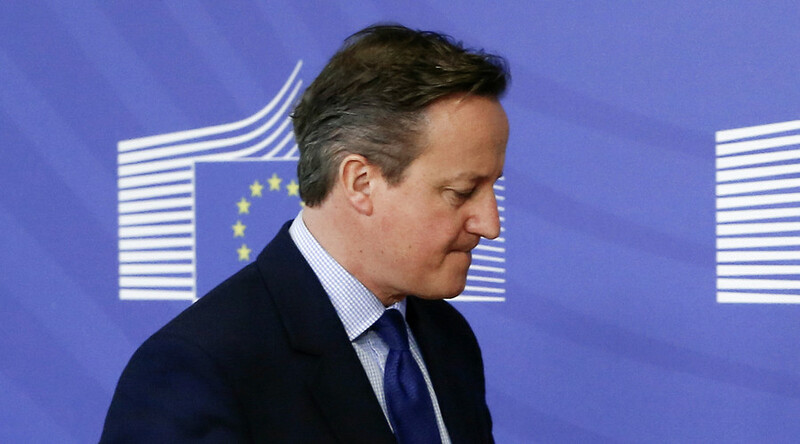 Cameron hopes to negotiate a deal before the EU summit in Brussels in three weeks. Downing Street said the PM had secured assurance on an “emergency break” on benefit payments to migrants, which could stop those immigrating to the UK receiving welfare payments for the first four years of their residency. Tusk said “intensive work” would be needed throughout Monday if a deal was to be brokered and published Tuesday. A spokesperson for Cameron said “much progress has been made” since Friday, after the PM backed out of a trip to Scandinavia to pursue talks with EU leaders. “The commission have tabled a text making clear that the UK’s current circumstances meet the criteria for triggering the emergency brake. “This is a significant breakthrough, meaning the prime minister can deliver on his commitment to restrict in work benefits to EU migrants for four years,” he said.